Five concertos. One unforgettable evening. Don’t miss the incomparable Australian Brandenburg Orchestra as they bring the enduring genius of J.S. Bach’s music to life on stage in this high-energy concert. The Brandenburg Concertos are virtuosic tapestries of sound that burst with vigour and verve and have inspired the imagination of musicians and audiences ever since they were rediscovered in the Prussian royal library in Berlin in 1849. This joyous concert will be the first time in the Brandenburg’s thirty-year history where five Brandenburg Concertos will be performed in one concert – a momentous milestone in period-music performance in Australia. Leading musicians from the Australian Brandenburg Orchestra will perform in Bach’s daring instrumental combinations which push the boundaries of possibility of period instruments. Don’t miss out on this rare performance. Experience the imperishable genius of J.S. 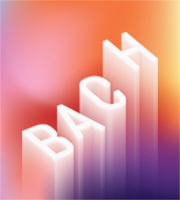 Bach with the enduringly exquisite concertos in one unforgettable evening. Approximately 2 hours (including 20minute interval). Please note concert duration is subject to change. Riverside Theatre’s Beyond the Square program offers people with disability creative outlets, personal and social exploration, and skills development in a weekly workshop.